"The Matiz™ multi-piece wall system, with the beautifully uneven surface of quarried limestone is an ideal choice to set off the most challenging designs. The Matiz™ wall is available for use as both a retaining or free-standing wall product. 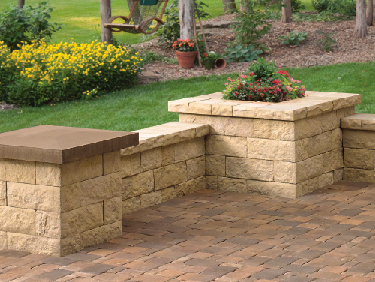 Matching coping and wall end units complete every project perfectly every time."